Transsion Holding sub-brand Infinix Mobiles is unstoppable in recent times. 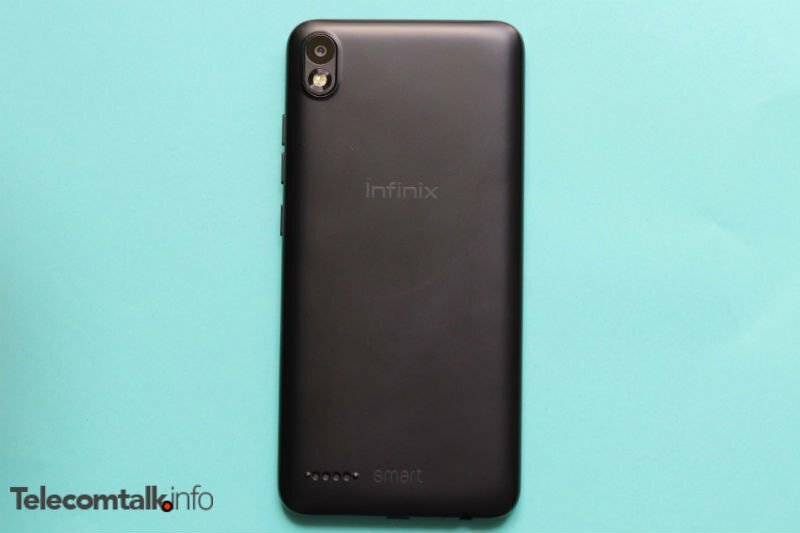 After competing with the Redmi 5 with its Infinix Hot 6 Pro, the company has now outed the Infinix Smart 2, which takes on the Redmi 5A. Infinix has entered a new entry-level segment by creating the all-new ‘Smart’ series. The Hot 6 Pro was aimed at users looking for a big smartphone on a budget, and the Smart 2 is for users looking for an entry-level smartphone with 18:9 display, decent selfie camera and more importantly, it solves the major problem which is the 4G connectivity on a single SIM slot. Yes, the Infinix Smart 2 is one of the cheapest smartphones out there to offer dual 4G and VoLTE functionality. The Infinix Smart 2 is priced at Rs 5,999 for the base variant with 2GB of RAM and 16GB of internal storage, which is same as the base variant of the Redmi 5A. I have been using the Infinix Smart 2 for more than a couple of days, here’s what I think about the device. Let’s get straight into the design: the Smart 2 doesn’t turn any heads in terms of the design. Even though the device boasts of an 18:9 display, there are thick bezels on top and bottom, which is expected in this price range. However, it feels compact when taken into hands. The phone is constructed out of plastic, which will be evident right after you pick it up. A disappointing aspect of the build is the back panel attracts smudges, and Infinix doesn’t bundle any case inside the retail box. Moving onto the display, the Infinix Smart 2 has a 5.45-inch display with 18:9 aspect and HD+ resolution. This screen can go up to 500nits bright. Infinix says the phone has 83% of screen-to-body ratio. This display gets enough bright to view the text under moderate sunlight, but under heavy sunlight conditions, you will have to struggle to read the text. The Smart 2 comes powered by the quad-core MediaTek MTK6739 chipset with all the four cores clocked at 1.5GHz. Thanks to this SoC, the company has managed to add Dual 4G and VoLTE support to the smartphone. The phone will be available for purchase in two options- one with 3GB of RAM & 32GB of internal storage and the other one with 2GB of RAM and 16GB of internal storage. Both the variants ship with a dedicated microSD card slot for storage expansion up to 128GB. Another highlight aspect is the phone runs Android 8.1 Oreo out of the box. We haven’t’ seen many smartphones offering Oreo out of the box in this price range, so good job Infinix. The much popular Redmi 5A is still on Android Nougat. 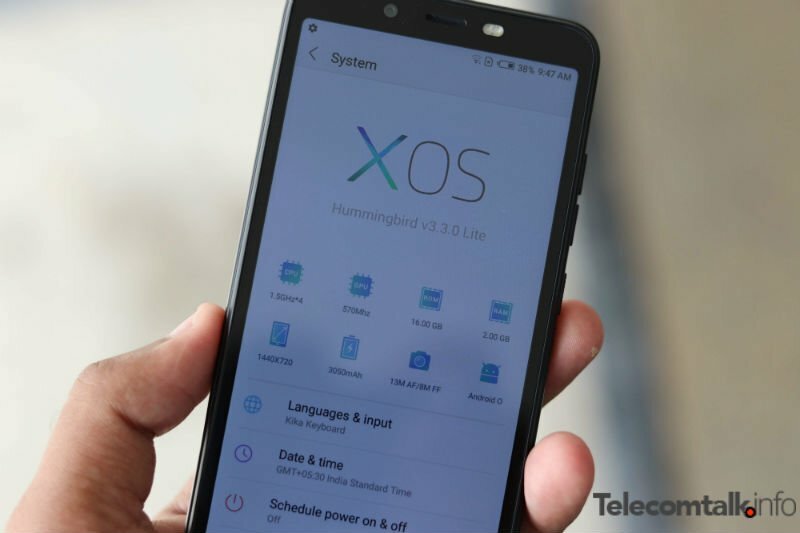 Having said that, the device is layered with the company’s XOS skin, which is a heavily modified skin built on top of Android. During my usage, the phone received a major software update through OTA weighing 479MB. The software update increased the camera performance, fixed network related issues and brought the device to the latest security patches. And yes, the phone has the July 2018 security patches installed. To bring down the price of the handset, Infinix has removed the fingerprint scanner on the device. Nevertheless, there’s the software-based Face Unlock functionality, which is not the fastest one we’ve seen, but it gets the job done. Infinix isn’t touting the Face Unlock on the Smart 2 as the fastest one. It takes a good two seconds to unlock the smartphone. Speaking about the real-life usage, the Smart 2 performed well during my usage. The performance is on par with the Redmi 5A, and I have tested the Dual 4G functionality with two Jio 4G SIM cards, which also worked really well. The app load time is really slow owing to the low-end chipset. The phone is backed by a 3050mAh battery, which doesn’t have fast charging support. Another area where the Smart 2 shines when compared to the Redmi 5A is in the camera section. 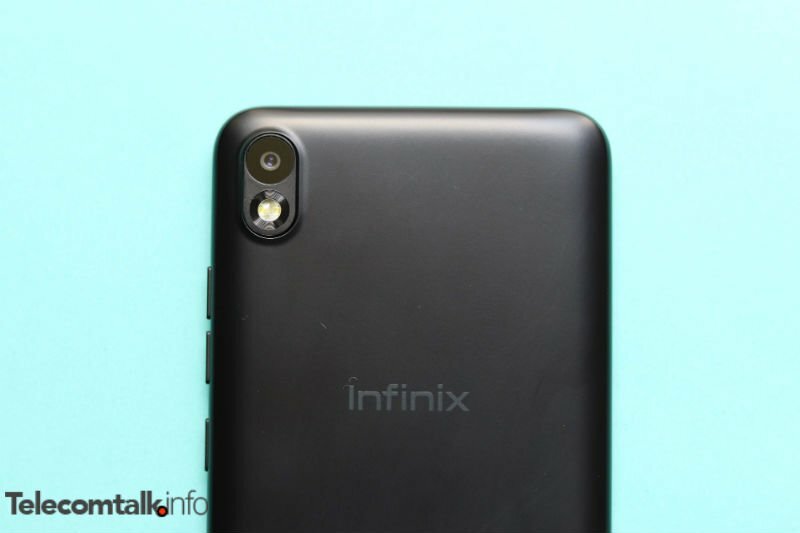 Infinix has added a single 13MP shooter on the rear side with f/2.0 aperture and dual-LED flash. On the front side, we get an 8MP shooter with dual-LED flash support, something which we haven’t seen with smartphones in this price range. The camera app offers modes such as HDR, Beauty, Panorama and Night. Surprisingly, the phone is capable of recording videos in 1080p resolution with both the front and rear cameras. There’s a software-based bokeh mode as well. 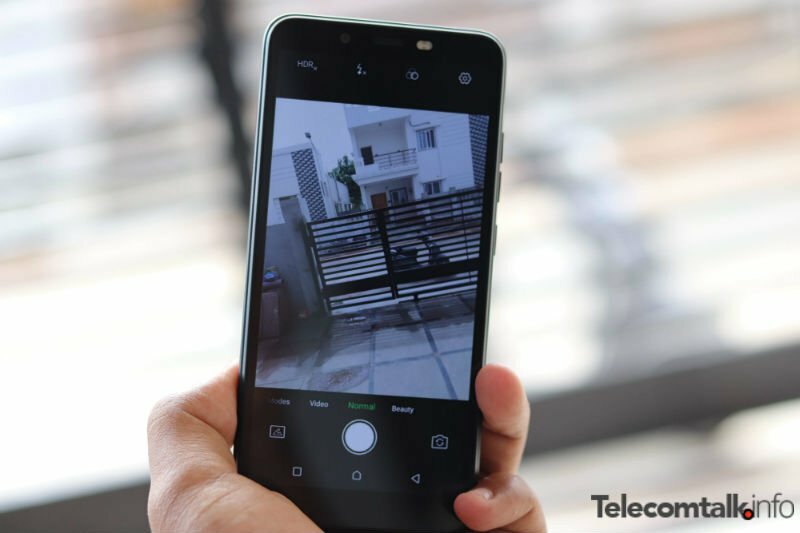 Take a look at the samples captured using the Infinix Smart 2. On the whole, Infinix has delivered an excellent smartphone in the sub Rs 7,000 price range. 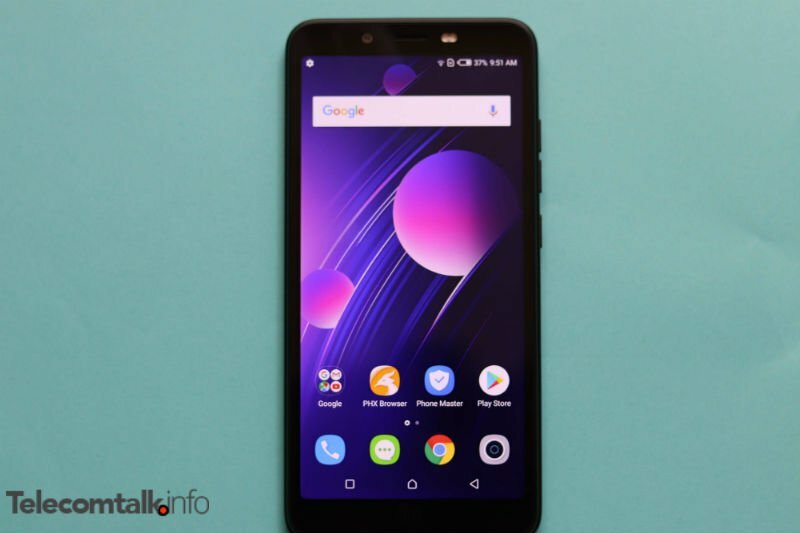 The addition of 1080p video recording for both the front and rear cameras, dual 4G support, 18:9 display, Android 8.1 Oreo with latest security patches makes the device a worthy alternative to the Xiaomi Redmi 5A. The premium variant of the device with 3GB of RAM and 32GB of internal storage can be purchased at Rs 6,999.
faced very great problems with ivoomi.